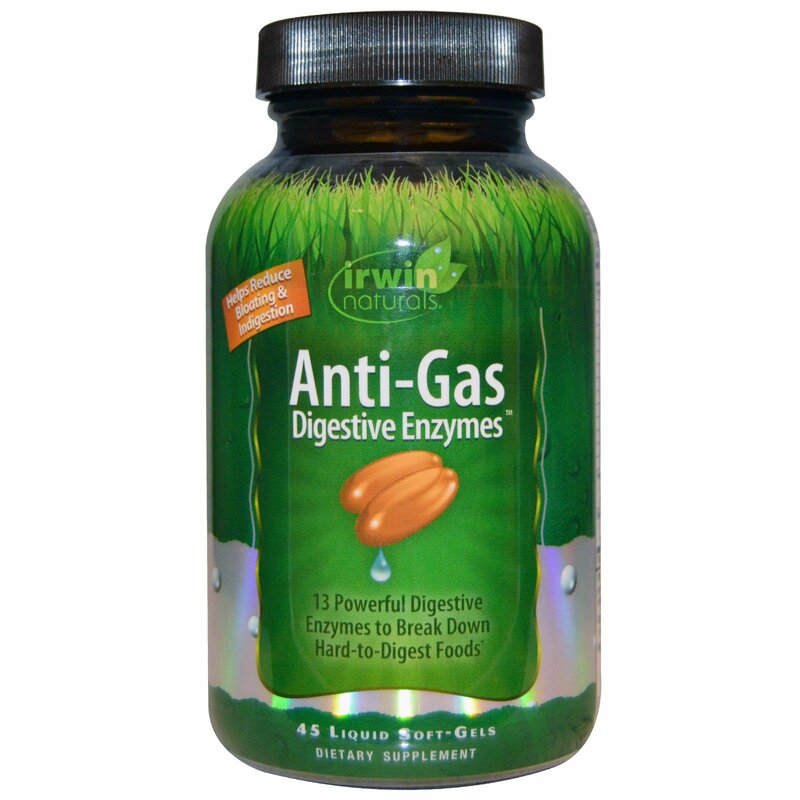 Anti-Gas Digestive Enzymes is a powerful blend of enzymes and botanicals that can help you break down food, absorb nutrients and reduce gas, bloating and indigestion. Comprehensive Enzyme Blend - This formula delivers a broad range of important enzymes to support the digestion of fats, proteins, carbohydrates, sugars and fibers. Also included are Bromelain (from pineapple) and Papain (from papaya) – two unique enzymes that enhance the enzymatic breakdown of hard-to-digest foods. Powerful Food-Energy Activators - Enzymes help convert food into energy. By improving the breakdown of food nutrients, enzymes can actually increase the energy that you derive from food…helping to maximize cellular energy and minimize gas and bloating from incomplete digestion. 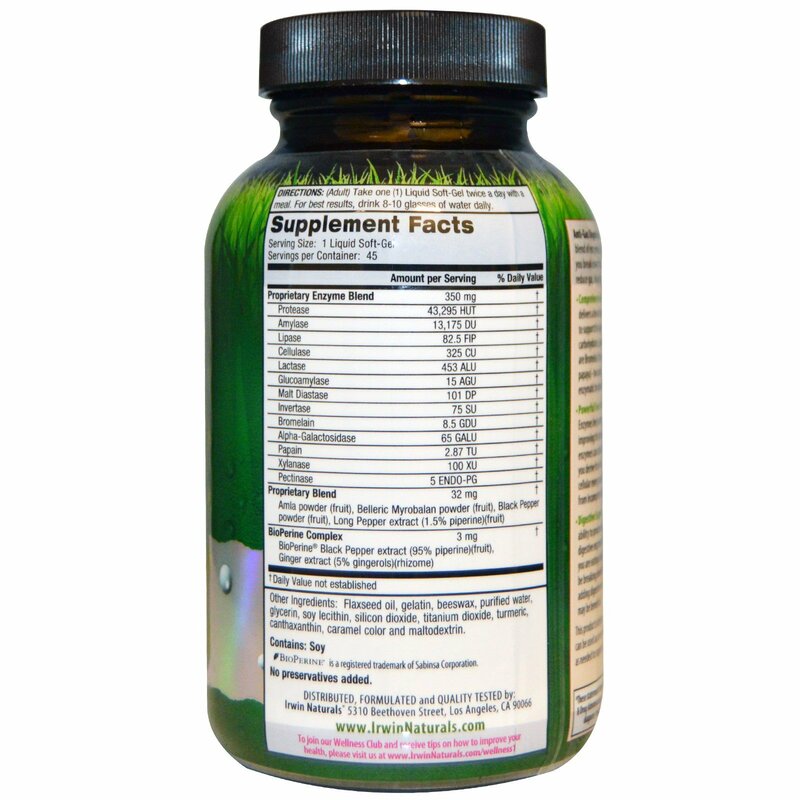 Digestive Support - As we age, our body’s ability to produce adequate amounts of digestive enzymes may diminish. So even if you are eating a healthy diet, you may not be breaking down foods properly. Therefore, adding digestive enzymes to your daily regimen may be beneficial. This product is designed to be taken with meals. It can be used as an everyday dietary supplement or as needed to support optimal digestive health. Directions: (Adult) Take one (1) Liquid Soft-Gel twice a day with a meal. For best results, drink 8-10 glasses of water daily. Flaxseed oil, gelatin, beeswax, purified water, glycerin, soy lecithin, silicon dioxide, titanium dioxide, turmeric, canthaxanthin, caramel color and maltodextrin.